We created the BeanPoll (www.BeanPoll.com) after we were unable to find a script that would allow people to vote with money. It seemed like such simple idea, yet no one was doing it. It can be alot of fun for a website and also make you some money. We hand coded the back and front end which uses php and a database to allow multiple users to use the script at the same time. 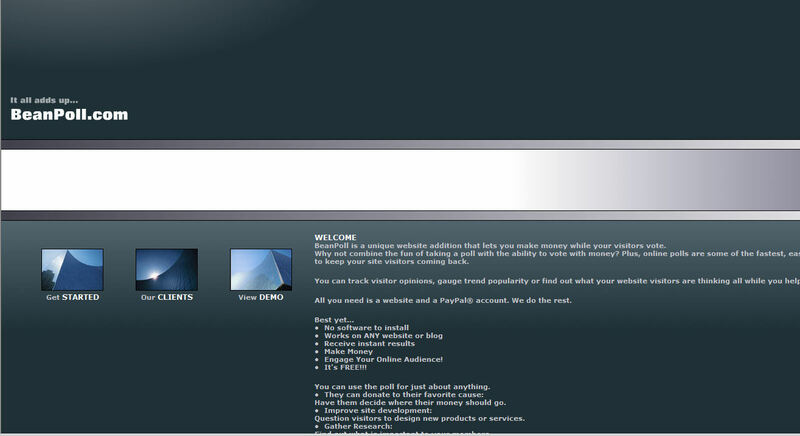 The original name was Paypoll until Paypal threatened to take us to court. I actually like BeanPoll better. I real high end design including a support area and flash graphics.